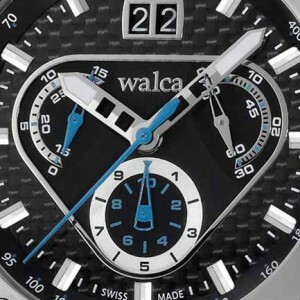 Walca, the Swiss leader in private-label watches, specialises in the development and production of customised models. Concept IX is one example. 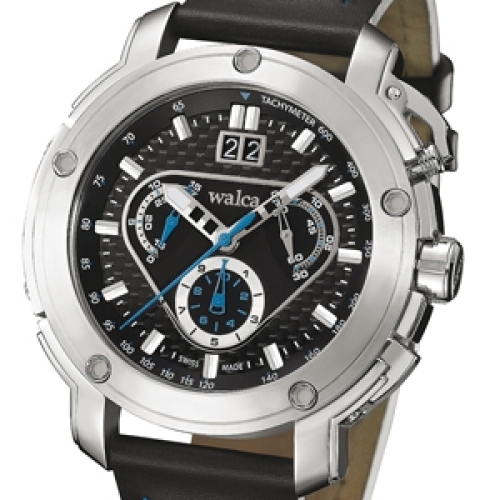 This new model possesses all the attributes of a legitimate 21st century watch: high-tech with its steel case with carbon insert and bezel with large screws, innovative with its semi-circular minute and seconds counters, and sporty with its chronograph and tachometer functions. Not to mention its superb design: very contemporary black carbon dial, dashboard-style counters and luminescent hands and hourmarkers. And last but not least, the very elegant colour highlights on the dial and strap.